The dryer may overheat which could lead to a fire. 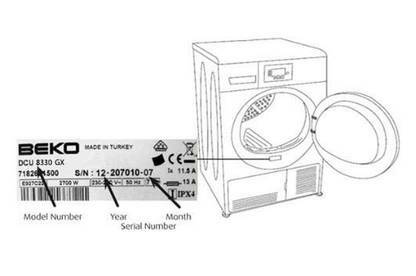 Check the model number of your Beko DCU8330GX 8kg Condenser Tumble Dryer. 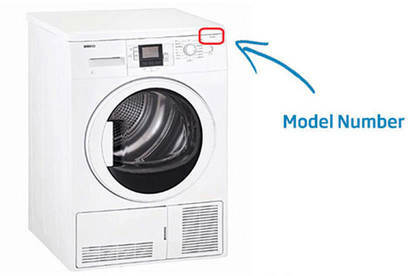 This can be located on the front of the dryer in the top right-hand corner. A sticker (rating plate) is located at the bottom of the inner rim of the door opening. The model number is also on this sticker. If your product is the DCU8330GX model, register online for a qualified engineer to visit your property to check and, if required, repair your product. The check and repair is free and will take no longer than 30 minutes. Beko is also contacting customers directly. For more information, contact Beko on 0800 692 356 or email beko.care@beko.com.